As one of the earliest shooting games, Space Invaders changed the face of the video game industry, permanently. In fact, the enemy alien symbol is now used worldwide, as a symbol of video games as a whole. But what was so great about this game, and how did it revolutionise video games? 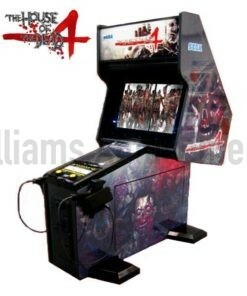 Well, here at Williams Amusements, we are arcade machine experts. And we have produced this buyers guide to Space Invaders. Released in 1978, Space Invaders was one of the earliest arcade games, and was created with influence from media at the time, including Star Wars and The War of the Worlds. Its sci-fi theme, and the challenging nature of the game, ensured its success for generations to come, and it has continued to influence many other video games. In Space Invaders, the aim of the game is to fire a laser cannon into the waves of enemy aliens, destroying as many as possible, to get the most points. As a 2D fixed shooting game, you can move the laser cannon left and right across the bottom of the screen, to shoot the rows and rows of descending aliens. The more aliens you shoot, the faster the aliens move, and the faster the music plays. This all adds to a sense of urgency, making the game even more difficult. At the same time, as the aliens approach, they will fire their own weapons, which you will need to dodge. These can hit your protective bases, and destroy these too. 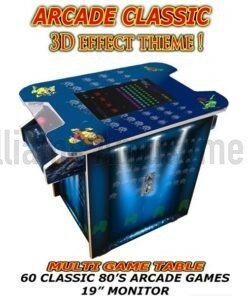 Here at Williams Amusements, we are proud to offer a fantastic Space Invaders arcade machine. This MAME machine has custom made Space Invaders artwork and design, and can also play 1000’s of other classic games. So why not purchase your own piece of arcade history today? Buyers Guide to Donkey Kong Jr.